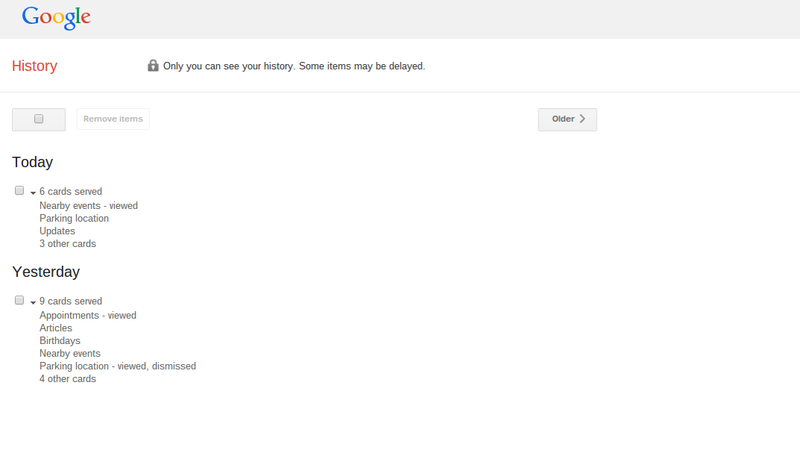 Google Now is updating today (Version: 4.1.21.1657903) with a nifty little feature: History view. You can simply go to https://history.google.com/history/now and you will see the cards that were delivered to you on a ny given day. However, the feature seems to be a bit limiting. You cant actually see the contents of the card, and on every day I have history available it lists a few cards and then just a generic "4 additional cards". This doesn't feel like a detailed history to me. In this history view you also have the ability to delete the history, nice feature, but not sure why I would need to use it. What are your thoughts on this feature?